Management Council (NEMC) in Dar es Salaam. In the eastern African region, it is estimated that only 10% of the existing industries treat their wastewaters to any degree. Most of the agro-processing industries discharge their industrial effluent without any form of treatment directly into immediate water bodies and open land. This discharge is affecting the health of the downstream communities not mentioning the threat to aquatic life in the region. According to the Tanzania Industrial Competitiveness Report 2012 by United Nations Industrial Development Organization (UNIDO), there has been steady growth of the industrial sector in Tanzania since 2000 after the government implemented economic reforms. The country for instance recorded a GDP of 6.5% in 2011 – a definite sign of Tanzania’s economic growth. Increased industrialization has had both positive impacts on livelihoods while in the same breath negatively impacted the environment through unregulated release of wastewater. This paradox is mirrored in the whole of the region. This environmental degradation is also contributing to the global climate change problem in addition to a surge in waterborne diseases. While many challenges due to industrialization might be similar to other countries in the region, some are unique to Tanzania, as Dr. Robert Ntakamelenga, Director of Compliance and Enforcement at the National Environment Management Council (NEMC) expounded. NEMC is the body responsible for overseeing the integrity of Tanzania’s environment for sustainable development. It is mandated to carry out environmental audits, surveys, researches; reviewing and recommending for approval of environmental impact assessment; enforce compliance of the National Environmental Quality Standards; initiates procedure for the prevention of accidents which may cause environmental degradation; undertakes programs to enhance environmental education; publishes and disseminates manuals relating to environmental management; renders advice and technical support to entities engaged in natural resources and environmental management; and undertake any other function apportioned to it by the Minister for environment. According to Dr. Ntakamelenga, a significant number of industries in Tanzania began operating long before the environmental regulations came into force, which has contributed to compliance to the regulations dismal. In cases where some of these industries have built wastewater management infrastructure, these systems fall short of the recommended standards for wastewater disposal while other have been overwhelmed resulting to leakages, which pose a health hazard. The government has reserved special zones for industries to start and expand. However, they face encroachment from people building residential houses near them. This has reduced expansion land especially when it comes to constructing wastewater facilities. Constant conflicts between people and these industries have become common. Any support from the government in building wastewater management solutions is rarely forthcoming. Bio-Innovate project 5 on “Integrated Process for Sustainable Agro-process Waste Treatment and Climate Change Mitigation in eastern Africa” led by Professor Karoli Njau from the Nelson Mandela African Institute of Science and Technology (NM-AIST) in Arusha recognized these challenges and designed and contracted an innovate wastewater management technology for Banana Investment Limited (BIL) – a banana alcoholic beverages producer also based in Arusha. For Banana Investment Limited, the opportunity to work with project 5 could not have happened at a better time. The company started in 1993 and has experienced remarkable growth to produce several alcoholic beverages in its product line. The company’s industrial processes generates a lot of wastewater and this posed a big challenge on how to safely dispose of this effluent. This problem was further aggravated by the fact that the company is located in a residential area with no sewer system. Before Bio-Innovate’s intervention, the wastewater disposal system then was outdated and recycling was impossible. Collection point for wastewater before being pumped into the biogas digester. With Bio-Innovate’s funding, Prof Njau’s technical support and BIL’s matching funds, a full-scale integrated wastewater management system – the first of its kind in Tanzania – was constructed at BIL that combines biogas production and a constructed wetland that treats the wastewater further to a level that can be recycled for irrigation in nearby communities. To achieve this, BIL gave $200,000 as matching funds for the project while the Program injected close to $500,000 to cover for innovation activities, research and capacity building. This is an example of an effective public research-private sector partnership. Setbacks in a venture like this do happen. For example there were delays in the acquisition and delivery of equipment for the biogas digester due to lengthy tendering processes but the Program was able to bypass this institutional bottleneck. The facility has been installed, is functional and currently being improved for best performance. The integrated wastewater system can recycle wastewater for irrigation, the generated biogas will substitute expensive energy sources currently in use and the bio-fertilizer produced sold to farmers. For BIL, this technology will reduce their high-energy costs. “Fully optimized, the biogas will satisfy a third of BIL’s energy costs, which translates to a reduction in the cost of production.” Said Mr. Adolf Olomi the company owner. This technology has received keen interest from other industry players in Tanzania who have similar wastewater management challenges. Tanga Fresh Limited, a company from Tanga that produces milk products and Tanzania Meat Company one of the biggest processors of meat products based in Dodoma were on site in April to see the facility at work. 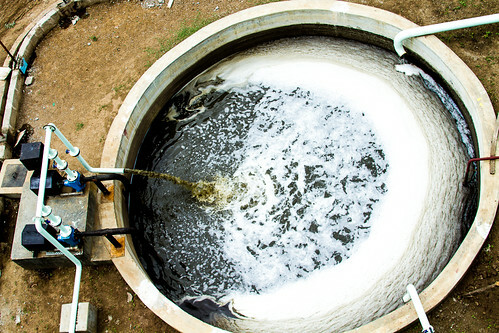 Both companies have previously never analyzed the amount of wastewater they produce per day in their factories but they confirmed the volumes were huge. From the tour of the facility, both companies were confident they could achieve the same. “One of the challenges in our sector is lack of information on such innovations. 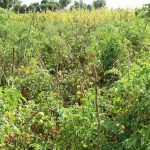 After this visit, I would like to discuss with our stakeholders at Tanga farmer cooperative and share with them what I have seen here. Also, our biggest challenge in building this technology will be the capital required.” Alnoor Hussein, a director at Tanga Fresh Limited said during the tour. 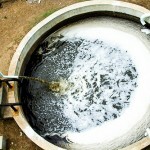 My company produces a lot of effluent and animal waste, which is mixed up with water. I would want this kind of set-up and the benefits it comes with especially in terms of recycling water, energy and bio-fertilizer,” Leo Akonai General Manager of Tanzania Meat Company opined. With such enthusiasm and interest from these companies, Bio-Innovate plans to disseminate these technologies to other similar agro-processing industries with the aim of mitigating climate change in the region. Bio-Innovate Phase II, which is anticipated to begin in 2015, will focus on ensuring this is possible. The Program has engaged Switch Responsible Ventures, a Swedish company that has experience in commercialization and setting up commercial ventures in the region to help the Program conduct techno-economic analyses and develop business plans as the first step in commercializing and/or diffusion of these technologies to the wider region. This commercialization package will be useful to interest potential industrial recipients of the technology and also help to attract financing from financial institutions to support these industries. According to Switch Responsible Venture CEO, Erik Gulbrandsen, “we envisage to help set up a regional commercial entity that will sell wastewater treatment solutions to industry customers.” “Availability of a soft funding mechanism from financial institutions will lower both the initial capital investment and ensure continuous positive cash-flow stream for potential customers, thus enhancing the already existing interest is translated into a high rate of adoption and subsequent impact.” Dr. Allan Liavoga the Acting Program Manager indicated.